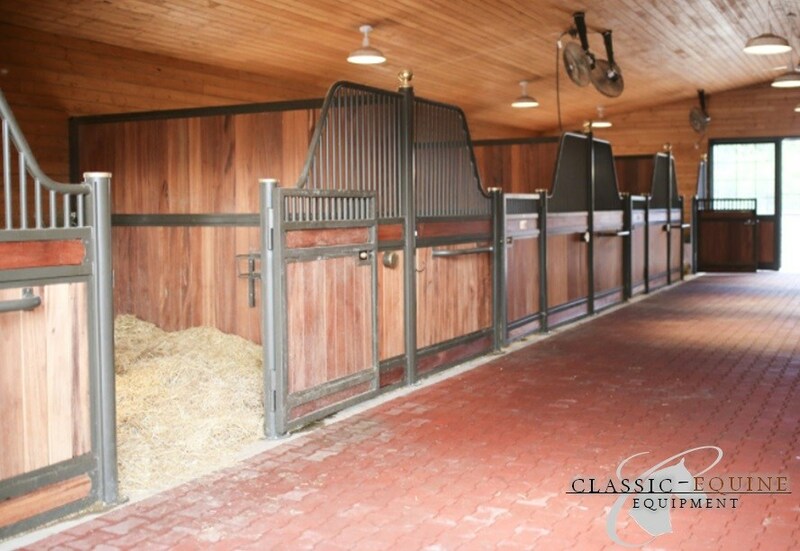 Project Details: Julie had a vision to create the perfect barn for her Clydesdales. The end result is nothing short of magnificient. 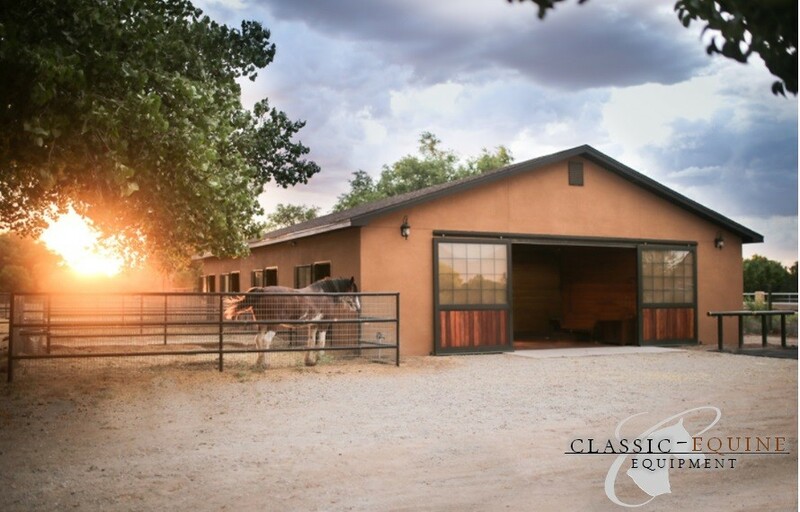 With the attention to detail and overall design being most important, Classic Equine helped to outfit her barn from the flooring to the stalls and exterior equipment. Product Specs: With a more open feel desired, our Low European stall fronts were selected. These fronts have the more decorative wood fill pattern with supplied Brazilian hardwood finished with a brass accent post cap. The Dutch doors carried the same wood pattern to keep everything consistent throughout. 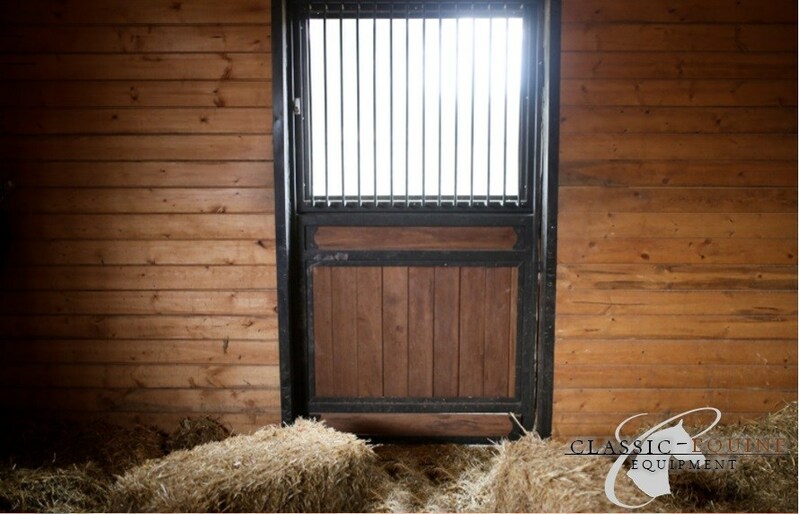 To let in more natural light in the stalls, a glass top for the Dutch doors was chosen. An oversized glass section on the barn end doors was also desired to let in as much outside light as possible. 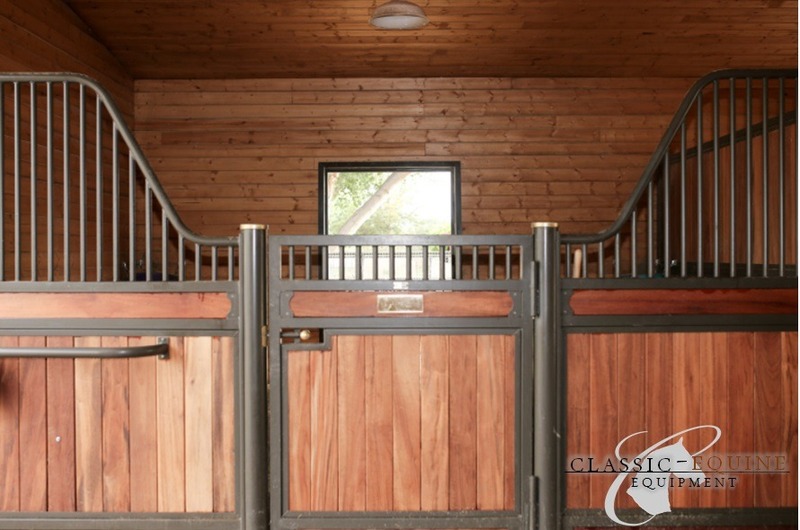 To add to the overall interior aesthetics, Classic Equine's Tru-Step Paver was added. 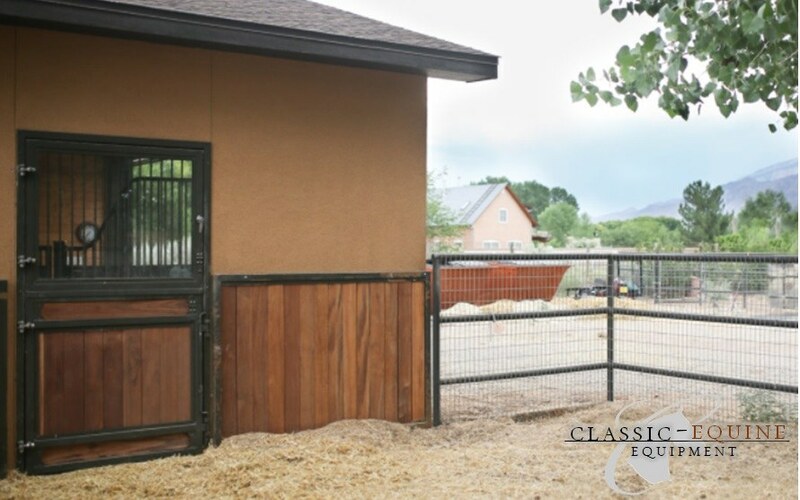 Additional accessories were added to make this barn one of a kind! 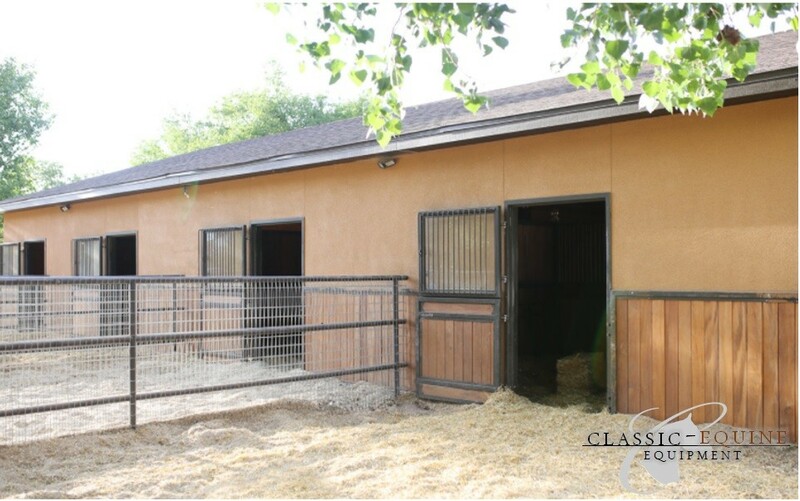 Classic Equine Equipment would like to thank Julie and her team for their continued support and business. 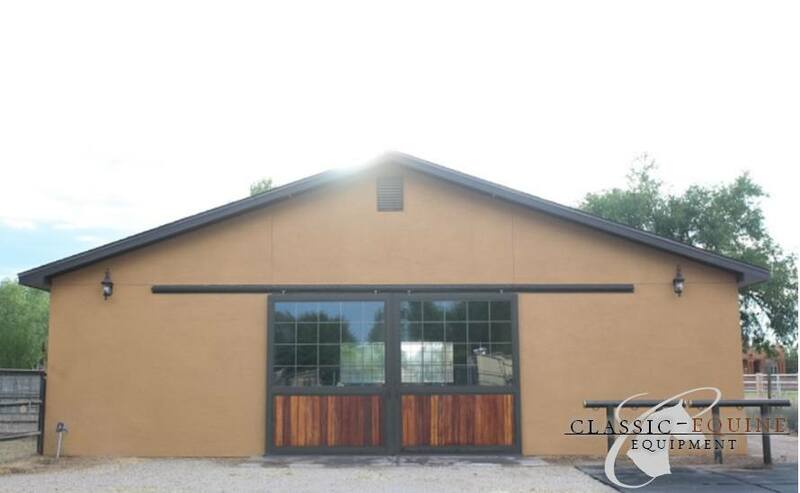 A special thank you to Robbie Webb at Webbco Construction for your craftsmanship and professionalism in creating this beautiful barn.